– Many Somerville residents depend on bus service for a variety of needs. – Though satisfied overall with bus routes and stop locations, people are generally dissatisfied with frequency of service. – Bus routes with the highest satisfaction include the 88, 87, and 80. – Bus routes with the lowest satisfaction include the 95, 90, and 92. – The most important improvements are better adherence to schedule, more trips, and bus schedules posted at stops. – Reliability is the top reason for those who don’t use buses. Keep reading for more details on the survey findings. You can also download the PowerPoint presentation. 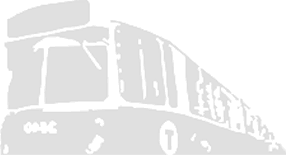 Take the Somerville Bus Survey! 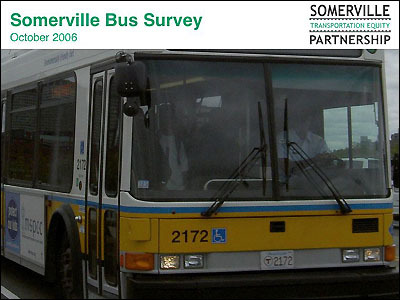 STEP is sponsoring a survey of current bus service in Somerville. This is your chance to be heard! Buses are a critical part of Somerville's transportation network. It's important that bus stops and routes be optimized for the coming Green Line extension.